"Picture a ballerina in a tutu and toe shoes. What does she look like?" As the only African-American soloist dancing with the prestigious American Ballet Theatre, Misty Copeland has made history. But when she first placed her hands on the barre at an after-school community center, no one expected the undersized, anxious thirteen-year-old to become a ground�breaking ballerina. When she discovered ballet, Misty was living in a shabby motel room, struggling with her five siblings for a place to sleep on the floor. A true prodigy, she was dancing en pointe within three months of taking her first dance class and performing professionally in just over a year: a feat unheard of for any classical dancer. But when Misty became caught between the control and comfort she found in the world of ballet and the harsh realities of her own life (culmi�nating in a highly publicized custody battle), she had to choose to embrace both her identity and her dreams, and find the courage to be one of a kind. With an insider's unique point of view, Misty opens a window into the life of a professional ballerina who lives life center stage: from behind the scenes at her first auditions to her triumphant roles in some of the most iconic ballets. But in this beautifully written memoir, she also delves deeper to reveal the desire and drive that made her dreams reality. 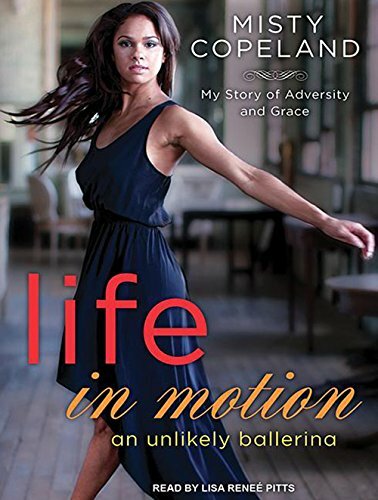 Life in Motion is a story of passion and grace for anyone who has dared to dream of a different life. If you have any questions about this product by Copeland Misty, contact us by completing and submitting the form below. If you are looking for a specif part number, please include it with your message.